I've started a new Facebook group called the Global Bluegrass Jam Hub. With so many jams everywhere these days, I thought this would be helpful for pickers. The idea is to get as many people as possible to join up and as many groups as possible to link to it, so information about jam sessions all over the world can be shared. For example, if someone arrives or is planning to arrive at some new location and they want information on local bluegrass or old-time jam sessions, they can post a query and hopefully someone from the location, or with knowledge of it, would provide the requested details such as dates, times, locations, travel information, song lists, etc.... This may be augmented by a bulletin board and/or dedicated website at some stage in the future. I've attached the link for it (www.facebook.com/groups/309212956527076/) and would appreciate if you could put it up on the blog. 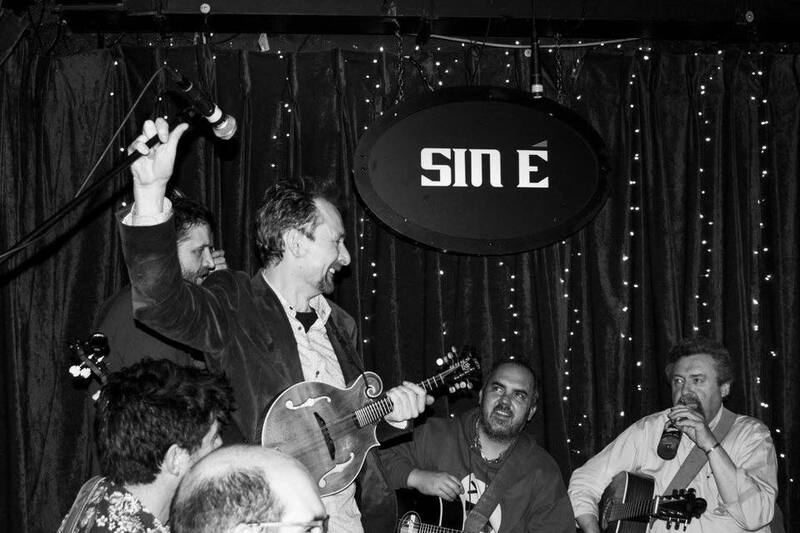 We're happy to do so: the Global Bluegrass Jam Hub meets what is already a long-felt want here, and should indeed be a boon to pickers all over the world. 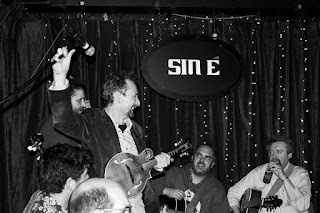 Thanks to Conor also for the image below, used as the cover picture of the new Facebook group; taken fairly recently, it shows the weekly Dublin bluegrass jam at Sin E in full swing.